Louisville Metro Police Foundation – Helping make Louisville a safer community to live, work and visit. to serve and protect doesn’t end when they get home. Whether You Cheer Red or Blue, Our Officers Are There For You. 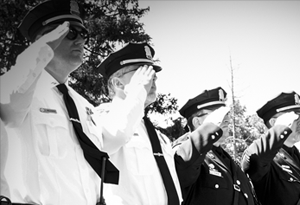 Founded in 2005, the Louisville Metro Police Foundation is dedicated to improving the Greater Louisville community and making our city a safer place to live, work and visit by supporting the men and women of the Louisville Metro Police Department. The Foundation provides the LMPD much-needed financial resources beyond what the Police Department’s Louisville Metro Government budget can fund, focusing on three key areas: programs, equipment and training and Officers in Distress. When tragedy occurs in the lives of LMPD officers or staff, they need to know that we’re behind them all the way. 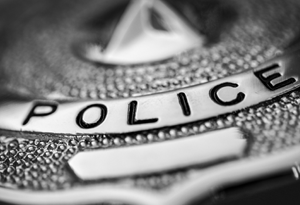 Our Officer in Distress Fund provides direct financial support to those LMPD officers and staff members suffering extraordinary professional or personal catastrophes. Visit our support page to give directly to this critical fund. During the holidays we all enjoy the hustle and bustle of the shopping and the excitement the season brings. Unfortunately, not everyone is as fortunate as we are. 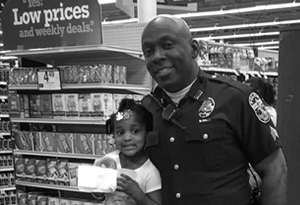 Every December, we partner with the Louisville Metro Police Department to host the “Shop with a Cop” program, which makes a huge difference in the lives of needy children all across our community. To give directly to this important initiative, visit our support page. President and CEO, Thorntons, Inc. THANK YOU, OFFICERS. YOU’RE ALWAYS HERE FOR US. Every minute of every day of every year, the men and women of the Louisville Metro Police Department answer a calling to serve and protect our community. But they’re also neighbors and friends, mothers and fathers, sisters and brothers, daughters and sons—and they need our support. 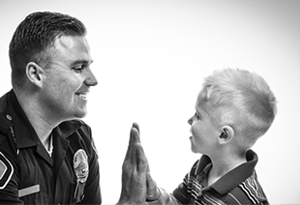 Whenever you see an LMPD officer, be sure to say “thank you.” Their tireless efforts help make Louisville a safer place to live, work and visit. A place we’re proud to call home. For more information on our Safer Louisville initiatives, sign up.